3 Ways that Augmented Reality Apps Enhance Mobile Shopping - Upcoming Media Inc.
It’s no secret that online shopping has revolutionized the way we browse for and purchase products. Online shopping allows us to avoid malls, easily comparison shop from the comfort of our home or workplace, and access goods from nearly anywhere in the world. But brick-and-mortar stores offer consumers something that mobile has struggled with: sensory perception. You can’t touch or feel items online, you can’t try them on, and there’s still a large amount of guesswork when wondering how things will fit. The result is buyer uncertainty that leads to a high number of abandoned shopping carts. These issues present daunting challenges for retailers who are always on the hunt for innovative ideas to enhance the shopping experience. Augmented reality (AR) may just be the game changer they’re looking for. With retailers always looking for ways to improve the customer experience, customer expectations rise. Engagement is one of those expectations, and augmented reality provides a level of customer engagement that is not only fun, but also actually makes the buying decision easier. How does it do this? 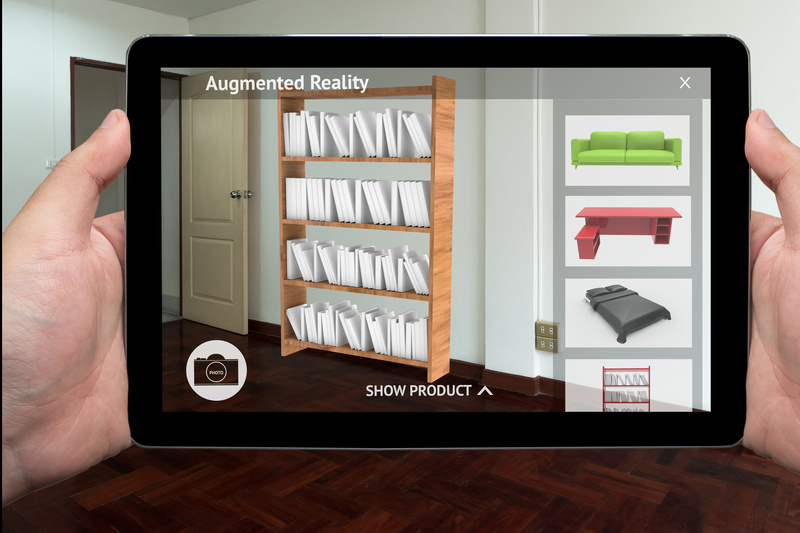 AR, in a sense, allows you to “present” a product from a print catalogue or website and merge a digital representation of it with your environment.It’s the next best thing to actually holding the product in your hands, but to do that you have to go to the store. With augmented reality, you can do it anywhere, anytime. Scan retail promotions: With the quick scan of a print ad with your mobile device camera, you’ll collect a wealth of information about your favourite product without having to search for it online. Read reviews, get product details, and comparison shop for a shopping experience that can be completely tailored to your needs. Customize online products: Not only can you browse through different colour options while virtually shopping, you can also modify and customize products to your exact specifications. Imagine creating custom-designed sneakers with any mix of colour or texture you want, and then viewing a realistic representation of them before ordering with the tap of a finger. Actually “try” products before you buy: Thanks to augmented reality, you can place that couch into your mobile device and merge it with your real-world living room. The result is you can actually see how the couch will look with your current décor. Want to add a coffee table? Easy – just tap and drag it in! Wonder how your dream car would look in your driveway? Do those glasses suit your style? Now you can find out right away with the power of AR. Ready to bring your clients a more engaging experience that can lead to faster sales and more referrals? Connect with us for more information, contact@upcomingmedia.com, today!